It is a new year! Are you doing a photo a day? If so, I have the perfect templates for you. 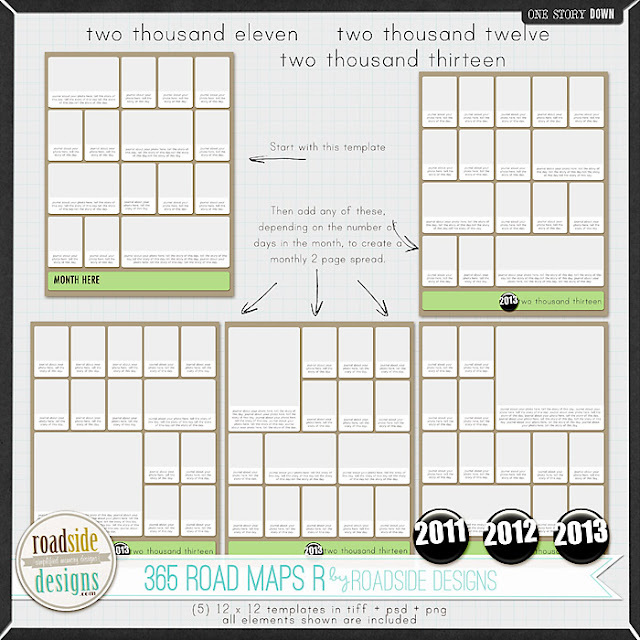 New in the shop today at One Story Down is a set of 365 Road Maps for your 365 Project in 12 x 12. Would you prefer a 8.5 by 11 size? 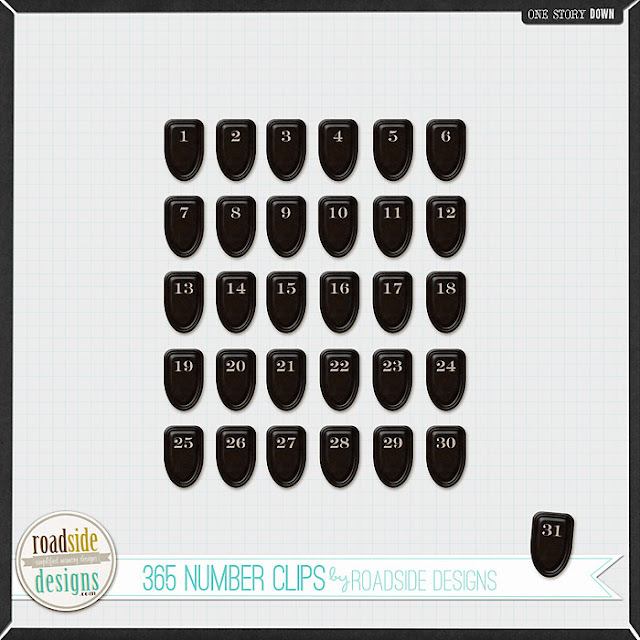 Looking for additional savings and/or exclusive Roadside News? Join the Roadside Billboard.